Our patients with prominent ears have often considered plastic surgery for many years before taking the next step. Otoplasty, an ear reshaping procedure, has helped many patients feel more confident in their appearance. From treating overly prominent ears to physical trauma and congenital ear deformities, this procedure offers a dramatic transformation for adults, children, and teens. Dr. Adam Singleton has performed many cosmetic ear surgeries with excellent results. Patients are generally very happy with their appearance and often wish that they had chosen otoplasty sooner. Come visit our Chevy Chase office to learn more about your options for ear reshaping. Otoplasty, also known as ear pinning surgery or ear reshaping, is a cosmetic procedure that reshapes, resizes, or repositions the ear. It can correct congenital ear malformations (the type that are present from birth) or misshapen ears caused by trauma or injury. The goal of ear reshaping is a more balanced facial appearance with ears that complement the other features, rather than distract from them. If you’re unhappy with your ear appearance, come see Dr. Singleton and learn more about the benefits of this facial plastic surgery procedure. 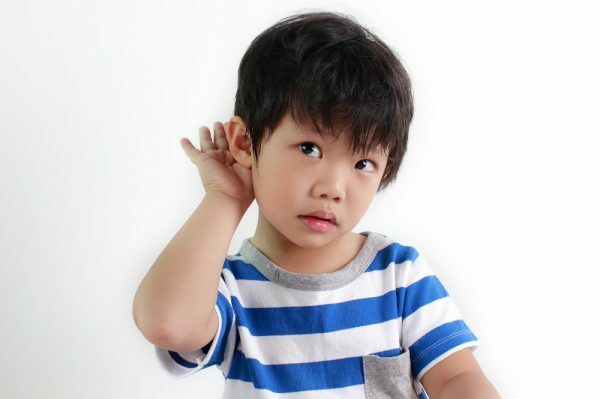 Can Children Have Ear Surgery? Otoplasty can be performed on children, teens, and adults. Come see Dr. Singleton to find out if your child is a good candidate for the procedure. After an examination, Dr. Singleton can offer personalized treatment recommendations and advice. He loves working with children and helping them to feel more confident about their appearance. Otoplasty is a very rewarding procedure for many of our patients, often fulfilling a lifelong dream for a more aesthetically pleasing ear appearance. The first step is a consultation. Contact our offices to schedule yours. On the day of your consultation, you’ll arrive at our elegant offices, conveniently located in Chevy Chase. You’ll check in with our friendly staff and see the doctor quickly. A hallmark of our practice is attentive service. We don’t believe in making patients wait around and are devoted to providing personalized attention to each patient. Each otoplasty consultation includes an in-depth examination with our surgeon, an opportunity to ask questions, and detailed information about the ear surgery procedure. Patients that are ready to take the next step can schedule their surgery, but you won’t be pressured if you need more time to decide. We want our patients to feel confident in their decision to pursue ear reshaping. Dr. Singleton creates a customized surgical plan for each ear reshaping patient. Your procedure may vary, depending on your anatomy and surgical goals. He is extensively trained in the latest surgical techniques for cartilage shaping and removal, and uses these skills to create a balanced and natural looking result. Otoplasty incisions are usually hidden on the back of the ear, but occasionally suturing or incisions will be required at the front of the ear to hold cartilage shape. Visible, front-of-the-ear incisions or sutures are placed in the folds of the ear to minimize their appearance. After the procedure has been completed, the incisions are closed and the ears are bandaged. This bandaging serves a few important purposes including protecting the ear, keeping the surgical sites clean, and holding the ears in position during the initial phases of healing. Patients can see their new look as soon as the bandaging is removed, often in a few days. Keeping the ears protected is important during recovery from ear surgery. We’ll give you detailed instructions to ensure that the delicate surgical sites remain undisturbed during healing. The bandaging must remain in place until Dr. Singleton recommends removal. To ensure comfort, we may prescribe prescription pain medication. Dr. Singleton meets with all post-op patients the day after surgery. During this visit, he’ll check your healing and review the results of your procedure with you. You’ll come in for a few additional post-operative checks after otoplasty. These appointments are an important part of the surgical process. Please make every effort to attend all appointments after surgery. You’ll meet with your surgeon, not a nurse practitioner, on each visit to our office. Patients typically miss 1-2 weeks from work or school. Choosing cosmetic surgery for a child can be a difficult decision for a parent to make. Dr. Singleton is aware of the many emotions that parents face as they consider ear surgery for their child. If you’re interested in the procedure, schedule a consultation with Dr. Singleton for both you and your child. The choice to pursue ear surgery will be a collaborative decision between the parent, the child, and Dr. Singleton. Children should be at least 5 years old before ear surgery is considered. Prior to this age the cartilage isn’t stable enough for surgery. A certain level of emotional maturity is needed for a successful surgery. Children should be able to follow instructions and willing to cooperate. Dr. Singleton will talk to your child to explain the procedure and to assess their readiness before recommending surgery. Some children aren’t ready for ear reshaping at a young age and will benefit from waiting for the procedure. Each ear surgery consultation we offer includes time for questions and answers. We encourage patients to make a list of their questions and bring it to their initial consultation. Find answers to top ear surgery questions below. We want our patients of every age to have an enjoyable and comfortable otoplasty experience. Patients don’t feel any pain or discomfort during surgery. We use a variety of anesthetic options, depending on patient needs. After surgery, discomfort can be managed using prescription or over-the-counter pain relief. We’ll explain all available options in detail. Pain management is especially important when the procedure is performed on a young child. Dr. Singleton works hard to ensure his smallest patients have a well-planned and carefully managed recovery process. Ear surgery costs vary. We’ll give you a detailed estimate during your consultation. A consultation is the best way to determine if ear surgery is a good option. Schedule yours by calling our offices. Good candidates want to change the appearance of their ears, are in good health, and do not smoke. How Long Do Otoplasty Results Last? Results are long lasting. Many patients will never require ear surgery again. Learn more about otoplasty in the Washington, D.C. area by scheduling a consultation with Dr. Singleton, our fellowship-trained facial plastic surgeon.